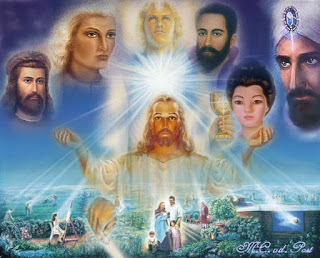 Ascended Master | Divine Realms & Intergalactic Light Beings Speak! 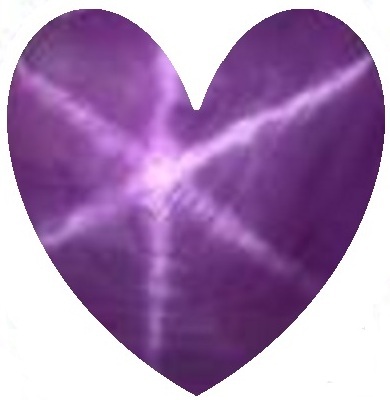 The Violet Ray Energy and the light beings of all cosmic color rays and especially the light beings Violet Ray Beings, The Purple Ray Angelic Beings, The Rose Ray Spiritual Nordic ET’s, The Cosmic Light Beings, the Blue Archangel Ray and Multidimensional Light Beings helps heal and prepares for your ascension. That the Ascended host and angelic hosts regulate and antidote within your own fire rings and aura conduits within your own higher selves. Within your I presence deity soul spirit purity life energy and feeling, thinking side of life has aligned as totality physical you in the now, feel so of divine presence in sacred fire energies color tones of all the divine color rays sacred ley lines, through The Sacred Fire Violet Ray purity interventions and soul nourishment previsions you when you call on any of us or the sacred fire Violet Ray. *First let us discus Light, a movement from left to right time elapses. Red wave has the lowest frequency, the purple wave is the highest frequency and the frequency is the number of waves that pass a point in space during anytime interval which is within one second. Believe it or not light still exist even at Zero Point Energy vibrations for light is flexible and can instantaneously come in and out of any physics quanta parables. And mathematically to suffice it is gone or in movement subtly none interfering with perception yet light does not diminish over dispersing in other carrier means until needed. Frequency is measured in units of cycles or waves per second or Hertz (Hz). The frequency of visible light refers as color that ranges from 430 trillion Hertz (Hz) and seen up to 750 trillion Hertz seen as Violet. Also the full range of frequencies extends beyond the visible spectrum, from less than one billion Hertz (Hz). There are many sources of light and the most common light sources are thermal such as our bodies can at a given temperature emits a characteristic spectrum of “black body” light radiation and the sun is a simple thermal source called sun light and roughly 44% of sunlight energy emits to reach the ground is visible and takes eight minutes to reach us from the sun to earth. The Earth’s orbit is calculated; a speed of 227,000,000 m/s and should be considered your location from the equator of actual speed. The effective velocity of light in various transparent substances that contain ordinary matter and density is less than in vacuum while the speed of light in water is about 3/4 of that in vacuum. For humans that are cool objects of matter fall into the blackbody spectrum that is in the deep infrared and at about 10 micrometer wavelength. 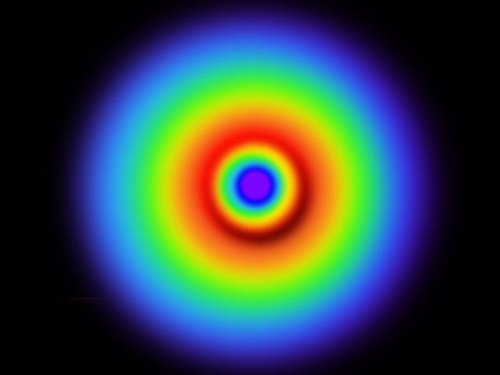 As the temperature increases in blackbody as researched online, the spectra peak will shift to shorter wavelengths while producing; first a red glow then a white one and into a blue-white color as the peak moves out of the visible part of the spectrum and into the ultraviolet phase. Atoms will emit and absorb light as characteristic energies that produce emission lines and can be spontaneous in the spectrum of each atom or light material such as a light bulb. Also a deceleration of a free charged particle such as an electron can produce visible radiation. Particles moving through a medium faster than the speed of light in that medium can produce visible radiation like artificial light from city and house lights too. When gravity combines with light it can slow light waves. 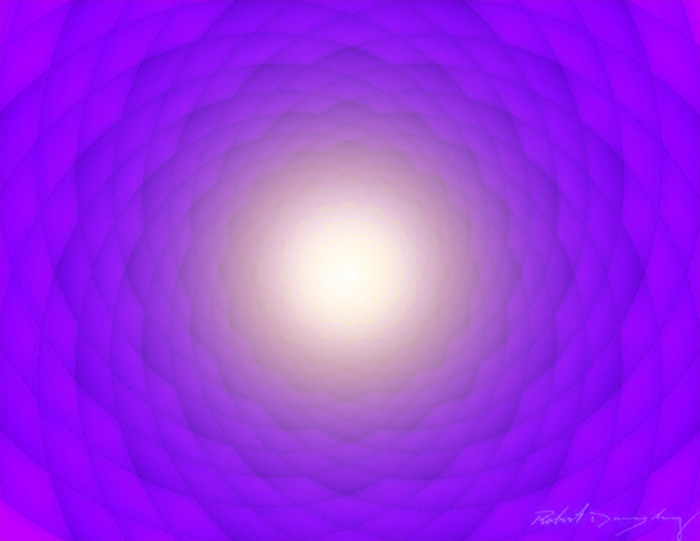 Violet noise generates and will produce lots of energy in highest frequencies while one must consider each octave packs as much energy as the four octaves below it. Violet noise is known as differentiated white noise and due to it being the result of the differentiation of a white noise signal. The violet noise generates very high energies at higher frequencies and its violet power density is proportional to f^2 and increases by 6 dB per octave. Violet noise is also referred to as purple noise and these names come from visible light that turns into these colors when a similar spectral distribution is applied mechanically. In healthcare applications, violet noise is used to mask tinnitus an annoying symptom that creates a buzzing, ringing or whistling in your ears that is occurring without any stimulus and can be treated and corrected. Thomas Young studies; showing diffraction that supports the theory light consists of waves and he showed by means of diffraction light behaves as waves and that different colors were caused by different wavelengths of light that affects color vision in the receptors in the eye as well. Now cosmic rays are extreme kinetic energies and the brain can create kinetic energy here we are saying the violet ray complements your aura presence and no cosmic or color ray should be dominant over another of god’s divine will ray of course and is the crystal clear ray. Now light can be visible light having a wavelength in the range of 400 nanometers (nm). Or 400×10−9 m to 700 nanometers that is between the infrared with longer wavelengths while the ultraviolet has shorter wavelengths. The speed of light in a vacuum can be gauged to be exactly 299,792,458m/s (approximately 186,282 miles per second). Now let us get back to the violet ray…. Violet of the visible spectrum has the highest energy photons and Violet light has a wavelength of 4.10 x 10-12 m and a frequency of about 7.5 1014 Hz. 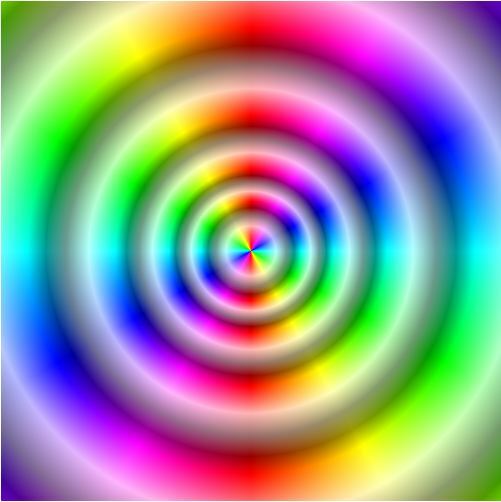 The high frequency light in the violet/blue band ranges 380 to 530 nm or 8×1014 Hz as violet light. I want to make clear each frequency color and hertz individually is important to each cell in opens body as well as combos for example a single frequency light in a laser. Can stimulate DNA in damaged cell tissue by using a low power laser under 50-milliwatts because higher lasers can cut tissue so increased healing can occur in the 660nm wavelength no matter what the frequency is. It could be infrared, red, blue, or green, as long as it was single yet as you move toward the red end of the spectrum the rate of cellular regeneration increased this means a single frequency in the green range might affect the organ kidney 40 times better than a normal base-line study. Whereas a red would be about 4,000 times faster as researched online. The 660 nanometer wavelength can be the fastest way to regenerate tissue and if you have an injury you would normally recover from in ten days, you can actually recover that tissue in two days by treating it with light in the wavelength of cell tissues. On line research revealed at the University of Chicago researchers discovered the average wavelength of cell tissue in the human body ranged between 600 nanometers and 720 nm; 660 is the mid-point and the reason a 660 nm cellular restoration works better than any other single frequency. Because it is closer to the resonant frequency of your cell tissues and 660 nm absorbs better in hemoglobin to help healing quicker and was found the cell. Can be in control of the healing and cellular treatment by shutting off the molecules when it was done therefore rehabilitating the cell exposed and treated to violet spectrums. This means the laser hitting the cells are no longer in control over the doctor or the practitioner applying the laser that is in control. Yet if the healer or self use does it too long or with too much strength you would not only heal the tissue but you would start a deterioration again so each client must be taken into consideration first of one’s ailment treating with color rays, practitioners styles and machinery. If interested in self-healing with cosmic color rays many factors must be considered such as the speed of the earth. 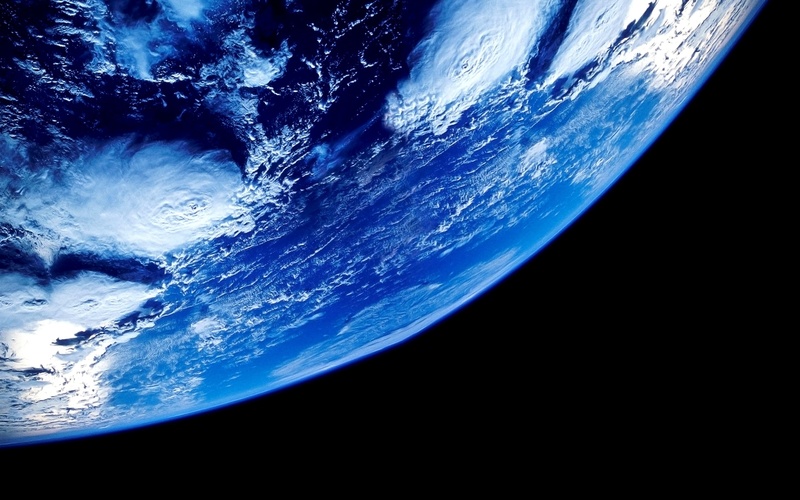 The Earth moves at 1675 km/h or 465 meters/second equaling 1,040 miles/hour. Relative to your distance from the equator less or faster you are moving and every second your unseen moving speed is almost half a kilometer through space. Yet you don’t feel this and makes you think how fast each chakra, blood stream and thought as well moves through space or ones immediate environment and also must be adapted, calculated in healing ratios and antidotes. Including planets, stars, galaxy and universe frequencies of the day which takes time but interesting to investigate on your free time. And the god frequency which travels in the Holy spirit Frequency particles all weave the seven divine color ray rainbow colors and relative to the chakras of seven our own body is polluted or free and clear changes the frequency. All frequencies by the way can be cleared by simply raising the Holy Spirit Frequency quanta within you which is faster than any planetary and self body radiation so clears all slower. This means by simply changing your thought and in a deep breath you can change your frequency to a faster pure clearer energy holistic healing within one’s own aura presence and light body! Also the earth vibration, the brain vibration, the Christ frequency and even the Gaza pyramid all resonance within the same frequency of 33 Hz when in balance and attune to nature and the god presence frequency of zero-point quantum entanglement! If one is off-balance or sick or simply want to attune to natural frequencies then the C note, the 432 or 7.83 and the holistic and metaphysical 528Hz DNA Frequency healing are all mapping gauges to adjust one’s own life force, life energy and emotions back to a purity level yet not truth of true resonance purity meant for us. Let us for example consider the Earths circumference of the equator that is gagged at 40,075 km while the length of time the Earth takes to complete one full turn on its axis is 23.93 hours astronomers calculate a day over the 24hours we are accustomed. Because one must consider the amount of time it takes for the Earth to complete one full rotation on its axis and also compared to the background stars one can research online too in more depth. Earth turns once completely in 23 hours and 56 minutes from above in northern form and is called this a sidereal day while also to consider is the time it takes for the Sun to return to the same spot in the sky. From the Earth orbiting the Sun than is need an extra 4 minutes each day to return the Sun to the same spot those astronomers call a solar day. And also one must include all other external frequency factors interfering over complementing; such as cell phone, radio, satellite towers and all EMF radiation pollutions bombarding from those closest to you even. Slow all our own frequencies and so good to use spiritual technology to sustain and protect no matter the bombarding external influences as well as our thoughts and emotions can slow due to feelings of moodiness, lack of sleep and self emotional unspoken abuse and words going through our heads! Also head strong beliefs and your local on the earth comparative to the central galactic sun, our solar system and planets also reach us in unseen influences and liquidate or fill. Nice to know information can boggle the mind, don’t give up and remember when we can not for self, God can! The cosmic music of the universe is of a personal nature down to the personal light bodies of the planet conscious intelligences, the angels and elementals, divas create in harmony of love and joy made. The natural frequency or space sciences gage the impersonal universe to be of the CMB microwave hiss/hum of the Universe at 4080 Megahertz (4080 million hertz) – a B tone. I want to also include Pulsars which one is named after my last name (Vela) my first name (Angel) means messenger, yes I am romancing here yet pulsars intrigued me and are very powerful electric generators that are spewing out the entire spectrum of radiation and we only know of at least 1500 of them and was known to affect life on earth. Impersonal violet ray is within these electric generators. Well only two known pulsars also produce visible light, the Vela X (PSR 0833) and the Crab (PSR 0531) and the(Vela X) is from the constellation Vela in our Milky Way! And was seen on earth about 8000bce very much shooting spears of intense color every way like a fountain as flooding pulsing illumination! The Vela X beams 11.24Hz, or F# as a tone. And so many natural organic universe, immortal gods and cosmos do integrate in our natural vibration frequencies on a second to second basis no matter the distance or unseen. This is a lot of energy bombardments or magnetism and radiation we cut out or lack of that also interferes with our spiritual balance and goals for the day or healing needs. We can have good intentions romancing we are of locked in purity from the outside yet is going within that is our savior. We as natural organic organisms will continue to wrap ourselves in electromagnetic energy bands convenient for our own existence and interactions wanting. Also even tap water or shower water, food and geometry systems, religious means can help or interfere and when you use chemical products or homes built un organically changes ones frequencies and biorhythms means for you in divine order and divine power. Lowering your frequencies or raising them consistently can seem, fanciful and surreal in the real world of all that is. There are many zero point energy products; crystals, quantum, scalar, volcanic and Nikola Tesla purple plates, orgone, chakra pendants, water filters and clothing etc if not listed here to combat external pollution, balance and protect. Yet these are non personal means of universal means over the divine personal means of god personal heart flame zero point energy’s of inner world and heart love bioenergy blessed infused in divine particles swimming in the air we breathe and traveling in cosmic light waves coming into our planet. Even our dream time are different dimension space spheres we need to decontaminate when we become awake by simply by calling on your Christ or I Am presence to come forth into your outer world and feeling thinking side of life and bring perfection in all you do. Or are of so before you go to sleep you should do the same to create that bubble of strong force purity no matter the intergalactic breezeway you walk of and interact in as dream time. In death time and heaven state as well you will be doing the same no matter the generation, planetary galaxy or timeline in existence you are conscious of, note to self. I tend to like to be an indifferent light being and not attach to any color, organization or planetary galaxy or means to stay pure over the personal god presence interaction, protection and infusions the Holy Spirit Frequency brings direct from the divine father. Yet with the nudging of Lord Maha Chohan last night I realized I better write about the benefits of the sacred violet flame and how this blog title came about. 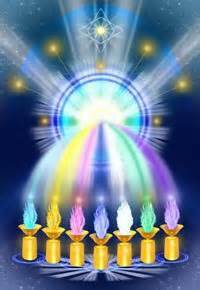 I do use the violet flame, Stating: “I am a being of the violet flame; I am the purity god desires.” As well as the crystal clear flame the Holy Spirit representatives help brings through you in the entire rainbow divine color rays. And so forth of each color divine ray I go through in my mind meditations to sweep through me and every light node and cell in me. Asking the Ascended host to back me up, also I like to wear a natural crystal clear crystal gemstone that is the vibration of the earth frequency when in public. To set an invisible bubble around me when in mass conscious places and cities as well helps keep you in divine resonance you can see me wear yet even I just don’t like to be loyal to ones means of being over the god heart core central inner body purity firstly, keep in mind. 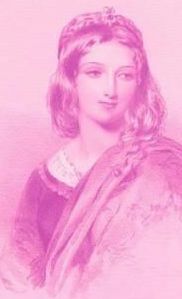 Even the violet flame representative; Saint Germain is so close to me I do not tend to use the violet representation when writing or with him to this day. What I mean is as comrades of light intergalactic help many galactic communities and in each dimension the rainbow color rays hertz changes due to atmosphere, planetary motions and light being soul people dimensional genetics and born of. Christos belief and religious diversity just like Earth realm all must be accountable for one’s own choices even so. 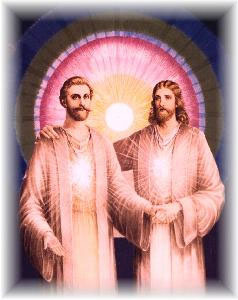 Talking of Saint Germain; I had a past life with him, close of many and back then we simply traveled sharing the word using the Holy Spirit color ray to stay pure as we were taught in dimensional life. Yet he alone spent many lifetimes perfecting and is in charge of the violet flame cosmic power and avenue. Over where I spent many lifetimes in women and men locked in karma and distractions I must say in regret. Maybe you are to and why it is important to use the violet flame to transmute all karma, all lower thoughts, chakras and bodies. All fear to dissolve all negative even unconscious and dream emotions, separation and lovelessness parables embedded for many generations of you. No matter life time or millions of years of your existence as I have the rainbow divine color rays always are consistent to each soul person as the eternal clear and free means to make things right in one’s life base of light regardless our background changes for many life times we take on as personal eternal soul people. Our future selves also will be using the same Holy Spirit Frequency, god to back them up and all the divine ascended host, maybe different titles is all. It is a fact his personal immortal love Saint Germain, his spiritual court and angels brings forth through the violet flame rays, temples, retreats and octaves do help alleviate. To lighten the gunk within and path the way for the resurrection and ascension flame to do their part for you clear and free in each life time too. And can be used no matter the generation, time line or awareness reality and planetary you go to after death consistently. As well in heaven, paradise, dream and meditation all use divine color rays to purify even still. Nothing of good karma and good doings leaves you after death and resides as your energy bands and recorded in every cell of you yet you must still call in the divine purity within the heart and mind to be so at every second forward even so. *Remember everything is energy so everything is a frequency and vibration and you are eternal light intelligence living energy! Researching online you will find the Crown Chakra resonates to the color violet and (note F) yet the core of the crown chakra is clear|white. The color violet has a vibratory frequency of 750 000 000 000 000 hz and that score is trillions! Breaking that down to a useful frequency we need to come down from this high frequency by exactly 41 octaves that equals at 750 000 000 000 000 by halving the number 41 times we will have a resonance of 341 Hz, note F.
I must also include to your attention in the years to come people will be living in space villages created by manmade means and many countries. As we speak today people are going to go to mars and live there so this opens a whole means of frequency equilibrium and divine purity attainment one will need to adjust to stay within the truest god frequency interfered or distraction no matter where you’re local and generation born! For children born in space, on mars and other planets will be real-time earth citizens. Then their bio rhythms will also be adaptive and different from those born on earth even if genetically related! Their astrology and plants in space can also relate differently as their sun star and local lay lines in space over the once norm of earth. Where we are in our solar system while us on earth if you want you can residence and feel Venus energy or sun energy frequencies. That can also be drawn on for they are all light intelligence light beings organic alive and can be adapted in your healing. Spiritual attunements and earthy or planetary influences, pulls and radiation norms. Within your own birth chart, astrology, star family, genetic coding, time of day and aura presence we deal with on a daily basis and all must be not over ride over another of other natural organism factors. And why it is necessary daily to regroup, align and allow our auras and vibrations back into peace, harmony and love within “all that is” of purest neutral firstly (crystal clear) to be true to ourselves and those we care for. Now the Violet Flame Ray is of the Cosmic Light Beings and Masters of light norm to utilize in restoration of all galaxy, timelines and purity, aura realignment, balance purposes. By helping us humans and other Christed Light Being communities or timelines and generations they must have help from the great grand central sun. They magnetize and draw from a breath then they out breath the purity radiance of any color purity ray and vibration wavelength frequency for all needed. This helps release, pollution, helps elevate separation from the Holy Spirit of god and rebalance the auras, lower thoughts and paves the way for accession on the divine spiritual side of things. Known as the freedom flame, the transmission flame, the “I AM” Presence and the violet flame that comes really from the central core sun and galactic central sun that the masters of light and us can draw for when needed through them. 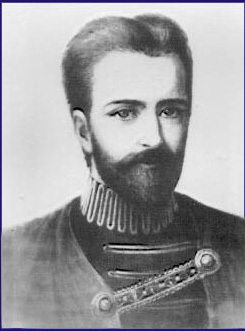 Here is a real-time Spiritual Telepathic Transmission Message he is conveying through me for you: Saint Germain; “The violet ray was and is still my only purpose in life! I begged the karma board and submitted many decrees and dispensation in many lifetimes as well as my ascended self and do so as the messenger, Angel said “in real-time”. I want you to know my temple in the Mount Shasta mountains, USA is an etheric palace of light very real and tangible. Created for all students, seekers and those wanting a little more light knowledge then the physical holds and sciences. (The messenger is crying softly and quietly as she writes this for she is thankful to be of assistance.) And we are thankful; you are reading to learn how the holy comforter through the violet flame can be of service in many ways! This is where not only in Mount Shasta you can come in your sleep as most already know reading this you can come into any mountain etheric retreat many ascended masters and archangels host and learn a little, respite, gather around any cosmic sacred fire retreat and temple besides those I hold and sit with the masters as they teach, lecture and share stories. Of a long time ago and future light beings ways and growth adaptive within your own form of manifesting divine grace, healing and love beyond the norm! For more advanced felt with you will be escorted then by your guardian of light or angel sent for you and you can come to the cave of symbols or cave of light even the violet temple by me simple magnetically pulling you in my radiance and light intelligence capability as some of you allow I will. Where there is a grand cosmic screen to delete at the panels all your karma and lack or horrid memories. This is not without a cost! For when you go back to your reality you bring in your aura to those you care for or any environment the violet flame ray emanation and healing presence. It is your eternal birth right to use the rainbow rays to accelerate your divine plan, effortlessly, gracefully and divine law standards you are of and committed as humanity intergalactic eternal service and love of source intelligence divine father. Ah yes, she did not tell you this particular life we had together only vaguely yet I will say was of a romantic one and we in our simple garment were of simple burlap cover and string and no shoes. We relied on people’s kindness to eat and be able to rome the lands to share god’s word and messages and would be in sand rocky territory while sleeping under the night sky. So harsh and poor we were yet it did not matter we had our love and companionship to lift our spirits and the Holy Spirit presence guiding us. She had a close past life with Jesus too, she will not disclose so easily for she is modest and knows you to walk with the divine on your own accord when you want. 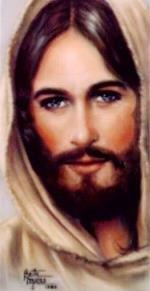 But I will let Sananda tell you another time, for it is almost unbelievable! For it was so important and why they also work so closely to this day regardless the dimension and will beyond “forever” timelines and eternity, to us all really. Back to us, so we could make ground and get to more places than the norm I would carry her on my back so she could rest and she would make shade over my head as we walked with her torn garment she wore. For love can be so simply conveyed in little tokens unto each. Of our depths of our beings we loved all! 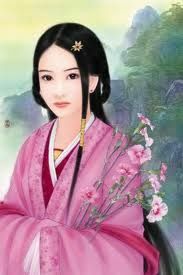 Feel her love for you now and expand your heart flame in her Ascension process grant unto you for the well being of all! “Although I represent the protection, faith and liberty of America of my spiritual court as well I want all people and nations in the inner realms to know I am available to you even so. I can assist in any need or want of positive, love and good for all! I bring forth the Violet Transmutation Flame and the Freedom Flame to every heart life stream even so as pure living light love from the godhead. I use the cosmic light from the Cosmic Central Sun. Then condense the sacred fire rays and energy from the love dimension of the Godparents bestowed unto your planet through the retreats and America. All nations and life streams that gathers and in our own spiritual faith, love for all it does not stop there! Today I bring to your attention that so much is disturbing, of evil and destruction in many nations and people who left god’s octave seemingly in their hearts behind when living daily second to second lives and those they interacted is then infected, discouraged and temporarily dissuade in their own heart of the truth of cosmic eternity. Every life stream must convey and life through god’s love ray of the cosmic spectrum for eternal life knows no other means but love. Truth that all temporal lower world activities and evil will vanish and no longer can affect those who sent by the karma board and god himself birthing all light species of human origin cannot be dispensed and their will taken over by others. This is true feeling it now with me. Let me spark your Christ conscious heart flame. Let me infuse the cosmic light back into your divine plan and whence you are here on earth dimension. Now in the inner realms or heaven life you had more abilities to remember divine will, freely use divine love and expressive to just be in well-being, contentment and true love of all, do you remember beloveds? Even this messenger just years ago was swallowed in lower world activity, gave up and believed she was now too tainted, lack of purity enough to be of service to us and boy was it a wakeup call of many nudging, intersecting and papering her to understand the truth never fails, the light never fails! Aren’t you glad we are back in your lives today! The mercy flame of Kwan Yin’s spiritual court and forgiveness flames can help stampede and dissolve in your own heart at any second you call on her too; we will help you release all that does you no good. Lighten your soul density, mind, emotions and heart. In time you will feel only god’s truth and love as your own light ray unto all. You will only be lightened so much you feel as a feather on a windy day flowing with nature; fluttering in joy, harmony and spiritual resuscitation that you once let the outer world control, caging you in an appearance that is phantom like an imagination dreaming that makes no sense. So let it all go into my arms, let the liberty flame I bring into your heart, aura presence and dissolve all that is not of the light, all fall from grace, all lower estates creation and misuse of life. Stand on the pulpit before you I place and take your stance in the light I bring and make your case why you should keep anything that would prevent your ascension when your life was given and many millions had to sacrifice the opportunity to be here over you? They had faith, unconditional love and trust in you then you do so it seems for they are still in heaven awaiting a chance to also earn their ascension and divine plans, finally. Not squashing yours or dawdle in lack of divine action, divine power and divine will, yes it is your right to have free will. Yet I am here to make it clear lower action free will, will sink you like Atlantis was sunk for millions lost the way and refused to set neutral ground for other generations to have a chance to fulfill their own divine free will and life! Or you would not be here today in sacrifice of higher galactic communities just be, no matter the light world or planetary this is so. For gods free will truly trumps all ours in the end. Today though he will not take ours away and like a puppet on a string in his theater of life imagine us to be an illusion and toy at his expense and disposal so we will not either. Our father of light has more hope and love no matter where we are at in the galaxies of his divine creations. So we must not do so unto others we care for really and inhibit their joy and peace for the day over complementing so. In the end because love never fails or takes from another to be of more worthiness god will have the upper hand to still help us achieve divine grace in all we do. And it was okay to be wrong and change your ways for the betterment of all at any second too, the Author here is living proof, we all are. Every day she saw no good and would verify in past emotions and memory to fuel her fears and anger what was not truth in the sacred fire and cosmic rays love flame: her family, her romance, and her community, the nations on the news and even the oval office conveyed digression, lack and no hope. All looks so hopeless she felt even more alone and unworthy once again to be in our lives so tangible and pure worthy. Compounding unto herself only hardened her heart and separated her from us, the holy heavens. She wants all to let us also help you and not fall prey, learn from her mistakes and give your life a chance to blossom and grow eternal in peace and love right alongside source father holiest. Thank goodness this got old of her own feelings of lack and unworthiness and she used our octaves, called on us even if she could not see or feel this true love in her heart so easily on her own. Believe me when I say back in the ancient days they had it worse yet they did not survive then instead lived strong in faith even if killed for their faith no one can take your spirit. They of ancient times and even now continue to stay true to their own freedom and love in their hearts, families and eternal life needing. Maybe you too at times wallow to long in lower appearances that the Violet flame and our representatives from all the retreats over America and each continent dispenses to lighten your burdens and falsehoods in lower thinking brings, why deny yourself anymore? In the unseen you can replenish yourself to our light octaves and hold your ground to allow one a good Holy Spirit gulp of fresh air and a means for the heart to reset. Into the divine pulse of God and his living life force light body purity matrix pattern all life streams move about within to have A LIFE really. Keep him close to your heart flame and you will be within his truly no matter what life throws at you! Your sacrifices never go unnoticed and helps your ascension come swifter. So know if you feel lower on the totem pole than us, of God and truth intergalactic eternal pure neutral you are simply pouting as a baby body soul presenting in appearance. For the soul is a self creation when your spirit is a god free creation! Your Christ conscious maturity and truth of who you really are at a spirit grander scale, you’re “I am presence” has all we have at a grander scale and so you must reclaim and reincarnate into every second strong force of your Presence into your feeling and thinking side of life bringing the perfection and love you need! No one can do so for you but you. And so you must also step down the Cosmic Light through your heart flame presence for all you are a part of even when they cannot for self and can be your only job and investment today if anything. The purity photon amongst the guardians of light who have to earn their place to be of service and they do will back you up when called on so if anything you take with you today make sure you call on your guardian assigned angels of light and let them in your heart and mind! We in the divine realms and God’s great central sun presence core purity do not mean infancy behavior or body of the soul to be the only controls at your spirit panel of life. It means you have to always experience eternal life on a daily basis ascended actualized felt, in divine will conscious conveyed in all you do. Beyond third dimension and that a light body and conscious of an archangel is built of same organic purity of gods light seed and light bloodstream purity as your own. Humans and Archangels even God are of all same light species in this galaxy and beyond and so are the only family of light eternal that will always have your back when you cannot for self. But they have to be invited in the obedience and stricture of cosmic law we must always first obey free will law of impersonal. I come to ensure you not to wallow no longer, not to be discouraged and certainly regroup with me now in my unconditional love and freedom violet transmuting flame moving forward resolved, invigorated you are worthy to just be and let go of all lower discord once and for all. Then by calling on your own “Presence”, let Gods love and cosmic sacred fire clear crystal, pink and gold essences, particle and blessing move through you as your own life blood does. Reach every cell within you saturating you through and through to have your soul, spirit and life back meant for you before you entered this life and it will be done! Just as there are different humming-bird species, animals and races of humans does not mean one is more special or worthy over another, no. It means we are all each other’s keeper, guardian and a form of how to be or not to be, never over stepping boundaries or life to make you special over another, king or more evolved. Now forgive me if I feel so stern, I myself have had centuries of lives I was not so pure and faithful through the divine and feel helpless to allow free will conceptualization true means go unaccounted for but is cosmic law. I however carry the Truth Law! Yet as I hold the miracle mantel and sacred fire flame for all to clear and purify it is simply a motherly tone of tough love. When so many run amuck on the dime of god’s presence I will not interfere, no. Yet when many thousands and millions join in, is a different ball game, is it not? Come into my arms, let me embrace you through and through with the freedom and violet transmuting flame. Here now then go forth believing you really are gods light and shining armor, his family and daily concern you are protected, guided and blessed! 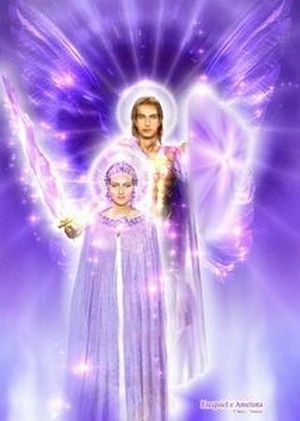 Archangels Amethyst & Zadkiel are the Violet Flame & Healers of Light bodies. Call on them now and let them in your conscious life stream, mind, emotions heart and aura presence cutting all discord, lack and discontent. Then restoring spiritual divine power, will and love by opening your chakras let them in to do all the work for you and clear you pure and clean anew today! 3/7/2015 Divine transmission Message; Archangel Zackeil: When individuals ask for opportunity to finish their earth school, divine plan and way back home through the ascension one must transmute in this embodiment rendered the required personal purification. If in this embodiment one can handle the necessary means and procedures to move forward with your ascension in the Course of one lifetime the Karma Board will deem the necessary assistance, and cosmic light rays and purification if one at least tries. To be a candidate for ascension is not easy for some and at anytime may abandon the course of individual transmutation, classes and redemption of karma needed to ensure so. Like a school college course can reenter at anytime and finish your divine path effortlessly and through grace resolved you are glad you try even at your own pace is okay. Some misunderstand this divine ascension process through the violet ray, sacred fire flame is the seven step process and will have more color rays to explore and adapt in one’s own “Soul Color” aura presence of light intelligence of the eternal spirit never ends. For the freedom and mercy, forgiveness and the “Law of the Circle” is also deeper rooted or in stagnation fazes of abandoned divine integration and lack to pull from good karma, blessing and temple teachings even so. At anytime is noted in and one can move on from there resolved self eternal well-being is worth it! No one wants more than ever for any chela or student to ones own return home pure and clear released by one’s own effort while us backing you up in our octaves of miracle mantels of light and immortal love personally as a eternal team we strive! Done with earth experience forever and also be of service then possibly to the God-free realms one moves forward in ascension status joy, peace and harmony; renewal in faith, truth and love for all. That actually sticks because one is not making more bad choices compiling a backward spiral appearance distancing of source divine father of the great grand central sun and first creation of all creations. By making of all disqualified energy, misuse of life and fall from grace to be assisted and not bring on unneeded kayos, fear and abandonment issues. Because one can simply in their own conscious that is their own vessel allow divine love, divine mercy and divine will to move forward to clear your own energy current, chakras, thoughts and feelings for all lifetimes is the Comic Key when you can not for self, we will when we are requested. 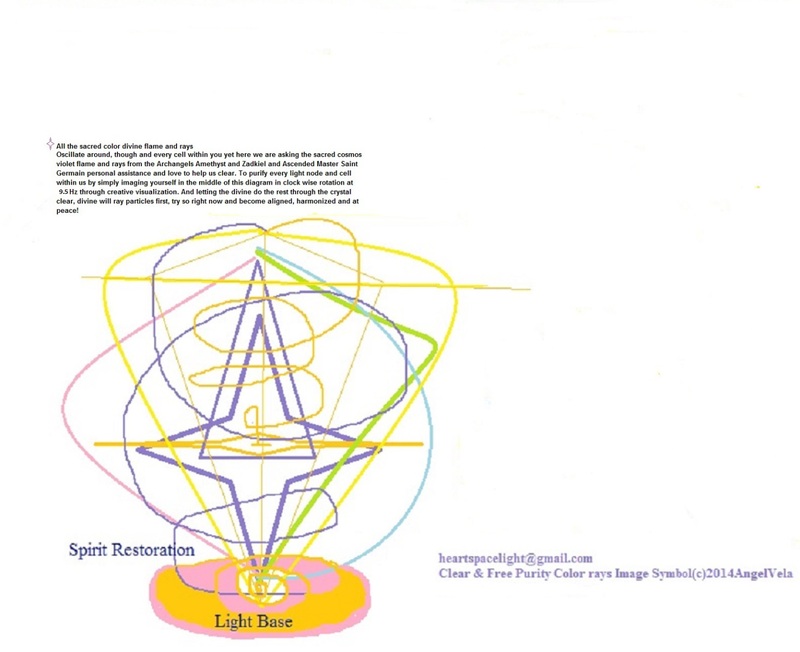 All the cosmic color rays will assist when you call on the fourth sphere angels, first, second third, the fifth, sixth and seventh cosmic color divine rays are manifested in each sphere of influence to restore and melt, designate your light body, soul, physical etheric, mental and the emotional bodies through the silver ray which is your Christ energy self. Invocation, ministration transmutation of good intent will have the angels and temple teachers of light assist in the etheric form. The discordant energy can be deeply imbedded or hide and so one must not let ego seem as if you have cleared yourself totally. Spiritual vitality, spiritual resuscitation and divine plan of each one reading have to remember it is the freedom flame that brings the best energy. Of the freedom flame of the Violet ray and sacred fire. The casual body is registered all lifetimes and where one must center this octave of self to really allow Archangel Raphiel, Archangel Michael, myself archangel Zadkiel, Archangel Uriel, Lord Master Hilarion, Amethyst and all their legions of angels to back you up thoroughly, whole heartily to enter your octave and centuries and lifetimes of discord still inhibiting you to truly be free and ready to start the ascension qualifications we speak of in many books, messengers and right here. And so the purity presence of self must be called forth to bring Saint Germain as head of the violet ray even in dream you will be guided, helped and taught about freedom which is purity clear perfectly, presently and permanently! The god virtues by being master of your own flame within your heart magnetized rhythmically, oscillation and releasing all that does you no good once and for all and for all lifetimes for millions of years of you. Adding all others you care for, all countries and planets would be nice no matter time line and we will be there even still with or without you for you and all you care for, they care for and so forth! God will, god love and god wisdom is a start to focus here and allow Saint Germain to take his miracle mantel and does you clear and free while you ask to bring the ascension flame, the resurrection flame and the sacred fire diamond heart love flame in your own heart and try to meet him half way. Within you as divine scientific application and assistance when you cannot for self the ascend light beings can bring more qualified energy into the casual body when asked. Your spiritual freedom of all rebellion, loss of hope, faith and truth can be disqualified energy still deeply embed in the heart, mind and through disqualified life, mind thoughts and feelings keep you from your divine path, achieve so. The focus on the freedom flame to dispense all your disharmony, hurts and lacks to allow all good fortune, well-being and contentment to be replaced as qualified light that the Violet Flame opens and restores you breathing in simply and breathing out the violet flame naturally can become normal and unconscious eventually for the sincere. You see your energy will not go anywhere other than alleviated, faster vibratory and more of you to be clear and free to just be, really instead of allowing the behavior of the 7 sins and bodies rule your day, world, thoughts and feelings disengaging the ascension flame the Christ self light energy of the silver ray keeps flowing. Your discordant energy will oscillate through the violet flame into light energy purity for you to work and be of here on out. The color divine rays rise into the atmosphere and so the violet ray fire purity must be consciously present within, weaved in your own living light clearing all that does you no good as it surfaces as much as you can and can remember daily. Also at times you feel fear, depressed or of lack in any supply focused on the violet flame to restore your casually body to become unified through cosmic law in perfection. Bringing your perfection and good of all form as promised in divine intervention, blessing and god life as you, the cosmic spirit of god through the Holy Spirit. Transmuting your disqualified light back into alignment of divine qualified light meant for you and all who are in your immediate garments of light, your aura presence and life will also have a purification deep within of a gentle nudge to follow of same divine illumination. Any bad thought surfaces; zap it with the violet ray flame! 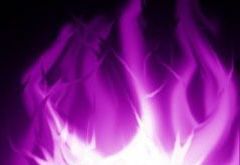 Any discord or frustration creeping up, transmute it with the violet fire. Any discontent unto another that has done you wrong, irked your emotions simple command the violet transmutation flame disintegrate all feeling and thinking side. You are in third dimension and so it is normal to feel lost, hurt, moody and lack not okay to let it grasp you for that is then illusion world temporarily escaping the real world going about you by just being in peace, freedom to just be and self-love by letting go all that does you no good as it comes to you. Any past memories of lower thought fill your head? Cremate those thoughts and feelings through and thoroughly the violet transmuting fire that is discordant disqualified energy and not of god will for you meant. The Violet Ray must be called on for the blessing and duty of each likeness and purity they are wanting to also be free, pure and alive god free even so. Instigating them to seek more form of self purity and goodness they could not have unless they are in the sphere of influence of their own Presence, violet ray integration and god virtues to start. And at a planetary scale even better the violet flame of transmutation, freedom and liberty washes away all discord that also many millions of year’s life streams have contaminated and left behind in the casual body of earth and themselves in error. The earth then can be set free and be the freedom star Earth once soul people influence that humans come to rely on the earth to help leave earth school once and for all and finish their divine plans accordance of universal cosmic law. And also the Earth, also all need to ascend then to the fourth dimension and beyond while still in same orbit and gravity of third so below as above. The mercy temple, Kwan Yin and her spiritual court, angels and ascend light beings can help you achieve clearing Karma, abating good Karma in place and deep at each bodies; physical, etheric, mental and emotional of the 7 sins muddiness and contamination at each be ejected, cleared and replaced of purer light for each who calls on her personally will help you. Most importantly as well to note in each life record your efforts and good karma then can be abated unto you in real-time as needed being free pure and clear to allow so. You will know spiritual nourishment through the violet transmutation sacred fire filled instead; contentment, joy, centered and love you are not used to as yourself through simple light and energy qualified purity. Of one’s own heart center, thoughts and body aligned in your Christ presence, “I AM” light and love. Call on the dove of light of the Holy Spirit to back you up and fill every cell, aura photon and heart vibration coming from you. Eternal gifting you strong force as you draw from the depths of your soul being. 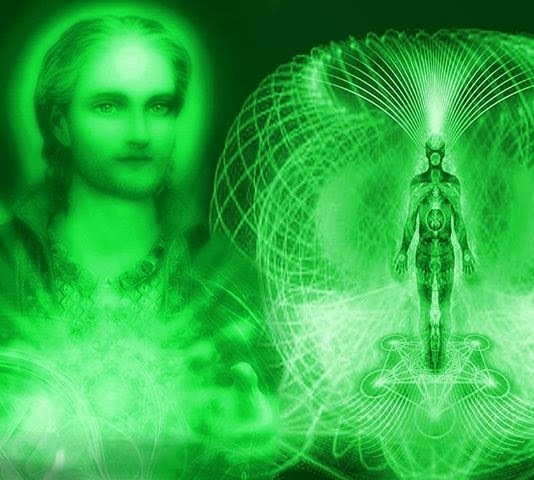 Spiritual Telepathic Transmission Message; Ascended Master Hilarion 03/14/2015 I am usually talked of the divine green ray however I represent all the divine seven rays. I am known as a healer hierarchy in the temples of ascension study and graduation, hello. That title is an honor however I will not allow you to forget you are an intergalactic healer as well. In dream and here the sacred fire Violet Transmission Flame we back up firstly. The higher frequency of this planetary and cosmos flame of light is worthy to draw forth in any need and it will manifest good change, better timings in one’s life and divine will first anew. Knowledgeable in vibration inner body means and capability is not as comprehensible as the divine will. And so divine will is an energy current that is within any color flame firstly, that of god’s will! In your own soul color that which is the spirit eternal identifiable color current, frequency, vibration personal identity as you, The I Am Presence Eternal. Well most would say the “I Am presence” is all that is color ray and that is the crystal clear ray of god’s will first. Yet god and you are separate beings of light yet of same light seed purity origin. True. When we represent ourselves we flare up our identity separate of all other “Codes of Light” to distinguish in any dimension I am you and you are me truly not just by birthdates and name. For we each come through the gates of first creation uniquely so. As time in infinity brings us experience it shows in our color tones and sound tone unique key-note. Separate of all others while of same first creation crystal clear conation. I of the fifth ray, green flame divinity I am proud yet it is not truly me, no. Nor your divine ray color that is your spiritual cosmos service you represent, that is your soul color blending as your star family you were seeded before you came to third dimensions of the planets and star worlds in your galaxy universe then another energy layer band as third dimension is of the blue ray divine rainbow color life spheres light worlds dimensions even beyond the seven gifted. All our layers of self simply identifies where about all this time we have been in eternity free time within each ones Soul Color Frequency and octave tubes of light and bodies spherical influences, yes and very true. In a sense since god does not move about only in us as us the first band of energy color reveals so. Yet we become doused in so many layers of identity even karma layers, even the physical, ether, mental and emotional layers or energy bands wrap us as one conduit of personified self creation and choosing of experiences living light. This particular key-note is not us even still, useful, grandiose and ego self enjoys, the soul touts and the spirit represents a lifetime to lifetime yet is not of first creation true self color tone and key-note. True we all are wrapped in god’s inner body, light fields and energy bands to live a life, to just be and enjoy universal laws as the casual body and mental body self are at the control panels as us it is not the best of us, no. 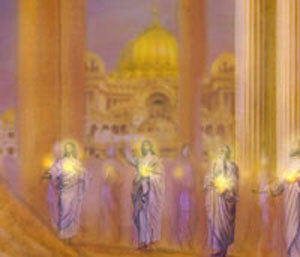 The “I Am” Presence which is the spirit of god first manning the light ship or light body of each person. No matter time line, dimension, reality or generation you become aware, awaken and sustained as one portion of eternal living is not the real you even so. The Christ self which is the highest level of purity known to be matched as conscious of god within you is the crystal clear divine energy or Mahatma flame. Segregated by you and what others do unto you as if not of you we walk through lifetimes until that gets old and does not fit worthy to really clear our paths to straight away do our divine duties plans as was meant and why the Violet Flame rays cosmic fire was invented by Saint Germain and his divine crews and legions of archangels of light. Untainted, un contaminated and personal of God firstly sent through you surging, expanding and raising to allow your Christ Self and divine color accumulated manifested to shine through all you are and do. The spirit knows this; the soul is the vehicle yet intelligence of all that is portioned to self. Now when we call forth the violet transmutation sacred fire is the universal cosmos eternal intelligence as a whole. That which is god’s intelligence extended of all that is proportional now non separate we are of god yet singularity photons in same light body, eternal light world that which is gods turf, inner body and love frequency qualified through us, no longer separate, beloveds of the eternal light. In a sense reading deeper into what I am saying we are then spiritual entanglement with the one source intelligence purest neutral positive good eternal no matter where we are embedded in eternal life. Every color rays is necessary to be one with god as singularity living light organisms of same god seed, god atom and god particles, God DNA and God light intelligence is then more matured than our own living light selves. Because entering out the gate of eternal “all that is” of his first creation not ours and really the only separation identifiable in each light body or soul color of eternal spirit. It is good then to go to another higher divine force such as the gold ray, violet ray, green ray, pink ray, white ray, blue ray, clear ray of god’s love particle waves all personal love of his living light. Life force for us to have the needed spiritual nourishment, the needed elemental and substance to ascended, to heal and be free eternal as he intended in free will purity core we can reach deep within is and bring forth for ourselves. More importantly for all generations, all we care for and all life times our own singularity entanglement in gods inner body, light world life sphere we are open to be. To explore and be spiritual of service when we can. When we cannot Source father purest holiest neutral positive steps in, god must step in through us for the well-being of all, called divine power, divine love and divine co creation and divine free will. I chose to resonate closest to gods natural light in light purest, neutral loving key-note, vibrations and step it down for those who are not capable. Yet want also to be in the closest color rays frequencies of god’s quantum purity to move their lives forward eternal no matter eternal local, aliveness and awareness to be of divine service firstly and so your life is worthy. Worth living out through the divine flames color of seven as one hybrid purity color ray that of your Soul Color here forward expand so within gods soul color purity, crystal clear, white, red, pink, violet, green and blue hues of infinite tones as all soul people in eternal existence reveal. Be well eternal, Ascended Master Hilarion. Kwan Yin Represents the Mercy Temple of the Violet Ray and founder. Call on her spiritual court too, to help you manifest divine love, divine grace and divine protection, divine spiritual restoration and she will come and bless you, your home and all those you care for! 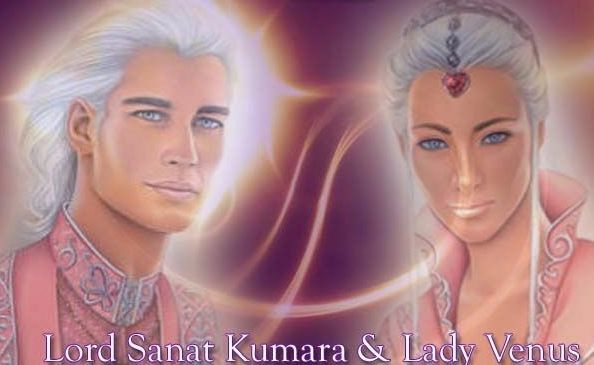 Saint Germain & Sananda are masters of all the cosmic divine color rays, call on them and first feel the violet flame sweep through you and align your emotional and feeling side of life! Then let their immortal love infuse into every light node and cell within you for all lifetimes, timelines and conscious states and they will come with their spiritual courts and angels to help you just allow and give permission. 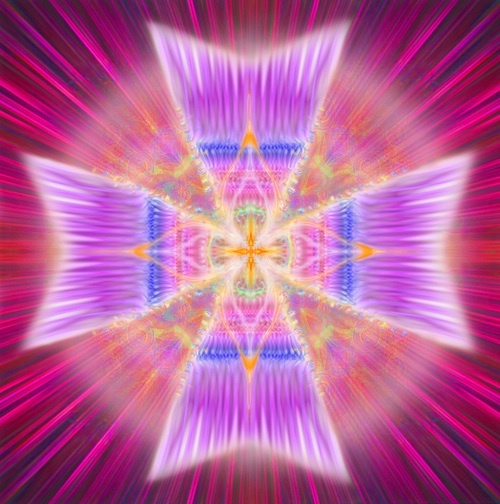 The MALTESE CROSS symbol here is the violet flame ray energy of Saint Germain’s love, healing and his legions of cosmic violet fire angels you can visualize and they are instantly with you to help you, just ask. Call on them now and be pure, clean and free! The violet flame I want to make clear is a natural organic atom infused personally divine photon of free neutral pure untouched by any third person, thing or frequency straight from source intelligence. Energy packed infused divine neutrons from the godhead, Christ seed Galactic intelligence as well and as we are natural organic light beings or photon, so is god is photon. We can draw from within the violet ray to consume from the galactic central sun magnet, god to disintegrate, sweep through us all discord, lack, miss use of creation and fall from grace. At anytime through the Holy Spirit representative, masters of light, Elohims and Elohas, Galaxy and planetary Councils of light, Archangels, holistic violet machines and rays that break down and provision what is needed and no more. 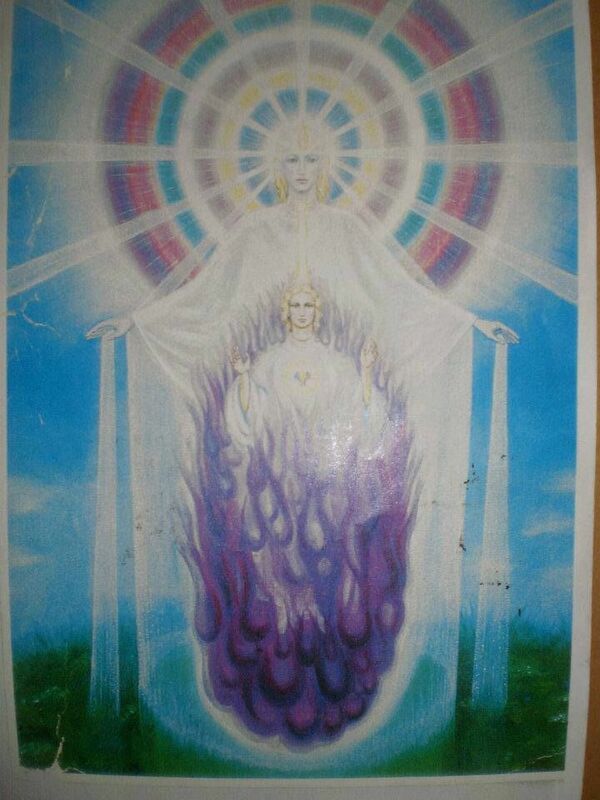 The goddess of the violet ray is victory and is the divine seventh ray of violet and temple, Arcturus also represents the violet cosmic flame. The purification of the inner bodies (emotional, mental, ether and physical, spiritual and universal) because the soul feeds the spiritual centers through the cosmic mind of Holy Spirit. The raising of vibration action of the physical body. For if one simply raises your conscious through focus of even a simple color ray flame purity or god virtue you are loyal to uphold in daily activate and unto all others through the focus of the heart vibration of 8 Hz matching the Earth’s natural frequency (in real-time changes up and down) you can in an instant in a simple thought or breath restore good thought, heart space and way of life divine pure neutral as you walk around. And no matter generation or lifetime you can remember and make note to self to stay within naturally organic life form of our universe resonance that god holds within his natural light body space sphere as well as our own, no kidding! The attunement of the brain conscious (33Hz) to the heart flame frequency (7.83-9Hz) presence of our own within god’s heart beat central core pure neutral indifferent to any other god head and great galactic central sun wavelength we bond and infuse within. The expansion, bridge and link of the spirit of god through the soul self. And until each aura, light node, cell, atom, photon and energy band we are of restores back into our divine plan, purity pattern and intergalactic vision through cosmic law and law of truth matrix and life. Focus on any Ascended Master as a physical tangible friend of divine family light and photo; they will assist you to achieve divine purity when you cannot for self. The cosmic grants and divine help and intervention is all around is in simple light and energy that nature, the universe and our own light emits and share in one “Law of the Circle” and gods life sphere we are bound and locked within no matter distracted, hard headness or preoccupation for we are all absorbed and magnetized within the god atom! The Ascension tube of light through the Holy Spirit, the freedom flame, mercy flame, forgiveness flame, resurrection flame, liberty flame transmutation flames within the violet sacred fire flame be so, call on and just be. All rights reserved©2014 By Angel Vela – Author of “Soul Existence Revealed” Volume I, II, III.